A researcher needs to find information about data analytics in the XSEDE resource portfolio, discovering existing XSEDE analytics resources and accompanying documentation. This is a pure discovery process; no data manipulation or analytics are performed. 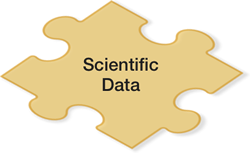 Researchers use a huge array of data analysis tools and applications, and it's vital that they know which tools are available on which XSEDE resources.